The Boker Magnum Easy Rider was designed with the motorcycle industry in mind. Its handle is made from aluminum adorned with a mortorcycle chain, adding extra grip security. 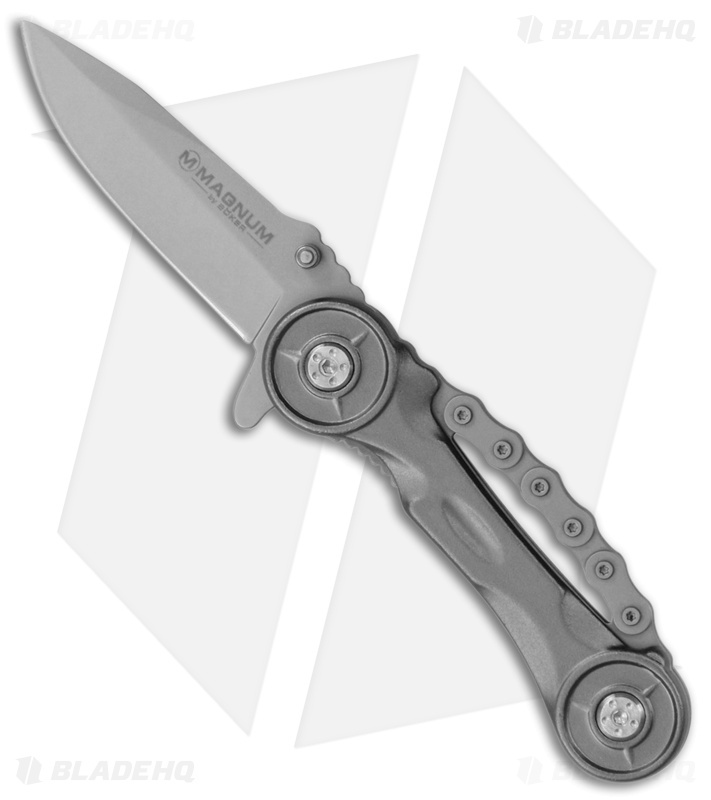 Everyday cutting chores are executed easily with the bead blasted 440 stainless steel blade. Keep the Easy Rider close at hand using the removable stainless pocket clip.